The WCC Amateur Radio Association will commemorate Maritime Day with a special event operation. WA1WCC will be operating on the bands April 14-15, 2018, staffed by former WCC and Coast Guard operators working from the Chatham Radio / WCC Operating Building. See https://www.qrz.com/db/wa1wcc#mrd2018 for additional information. 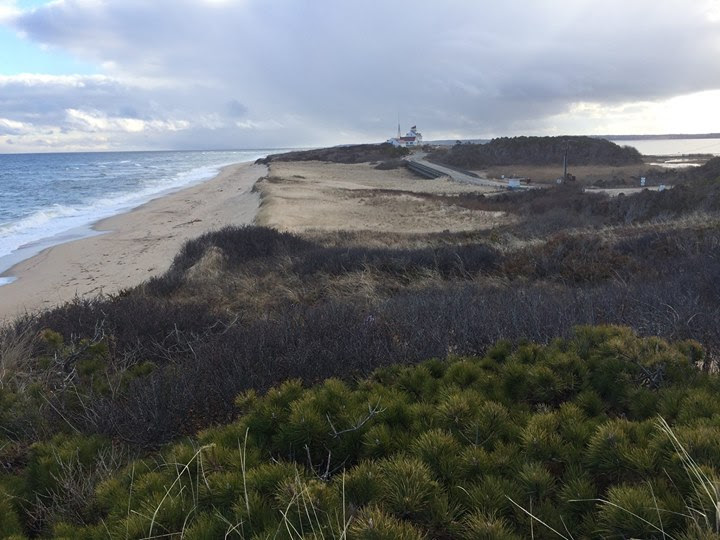 The Marconi Cape Cod Radio Club station, KM1CC will be activated from rare grid square FN51 on Cape Cod National Seashore on Jan. 18-19, 2018. K1RV reports that he, N1NS, N1DC, N1VH and K1WCC along with others will be QRV on all of the HF bands using CW and SSB. Logs will be uploaded to Logbook Of The World. The operation will coincide with ARRL’s 2018 International Grid Square Chase. KM1CC’s temporary location for the operation will be the Coast Guard Building on Coast Guard Beach in Eastham. Coast Guard Beach is often cited by “Dr. Beach” as one of the ten best beaches in the the USA. The station was built in 1936 for the US Coast Guard. It was used for shipwreck rescues- small boats were launched from the beach until helicopter rescues became the norm. The building’s ownership was transferred from the US Coast Guard to the National Park Service in the early 1950’s. It served as the first headquarters for Cape Cod National Seashore. It is now used as an education center. Cape Cod National Seashore is hosting two Amateur Radio events in April. KM1CC will have a special guest operator on June 20, Princess Elettra Marconi. Two contacts have been scheduled on 7.150 +- SSB on June 20 about 2:30-2:45 PM ET or 1830-1845 UTC. The scheduled contacts are with the World Radiosport 2014 Chairman, using WR1TC, and WA2GM. WA2GM is located at Marconi’s Wall, New Jersey station. Sorry, its listening only due to the short amount of time in the Princess’ schedule. We may be delayed, but the above is the plan. Want to know more about Princess Marconi’s visit: www.marconi2014.com. Please make a QSO with KM1CC to celebrate the 110th anniversary of the first wireless Transatlantic message sent from the USA to Europe on January 18, 1903. This message was from President Theodore Roosevelt to King Edward VII; it was transmitted in International Morse code by Marconi from his Wireless Station in Wellfleet- now part of Cape Cod National Seashore. KM1CC will operate from the former Coast Guard Station, Eastham, MA-USA FN 51, Barnstable County. We will post frequencies on http://www.dxsummit.fi/ We plan to operate mostly CW, but will switch to SSB now and then. Please view KM1CC’s Facebook page for more information and photographs. Please indicate whether you want to operate CW, Phone, or Digital-PSK along with your preferred operating times. 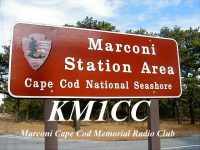 The Marconi Cape Cod Radio Club invites interested amateurs to operate the KM1CC station on January 17-18, 2011 during the anniversary of Marconi’s first trans-Atlantic transmission from the USA to Europe. The station is located at the Coast Guard Station on Coast Guard Beach in Eastham. Planned hours of operation are 8:00 AM until 4:00 PM on both dates. If there is interest, the station may also be operational the evening of January 17. According to station trustee Barbara Dougan, N1NS, two HF stations will be set up — one for CW, the other for phone. Operations will be conducted on 17, 20, 40, 75 and 80 meters. “There is a need for phone operators anytime of the day, and CW operators late afternoon and the evening of Monday, January 17,” she adds. For full details, see http://ema.arrl.org/local/km1cc_2011_announcement.pdf.